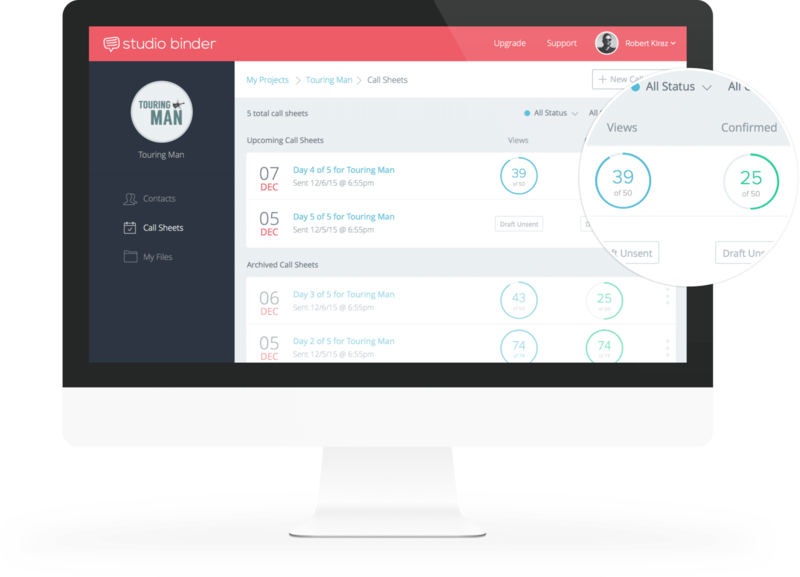 StudioBinder | Television Production Software Made Modern. StudioBinder intuitive television production software helps studios create shooting schedules, call sheets, manage film crews, and backup files in the cloud. 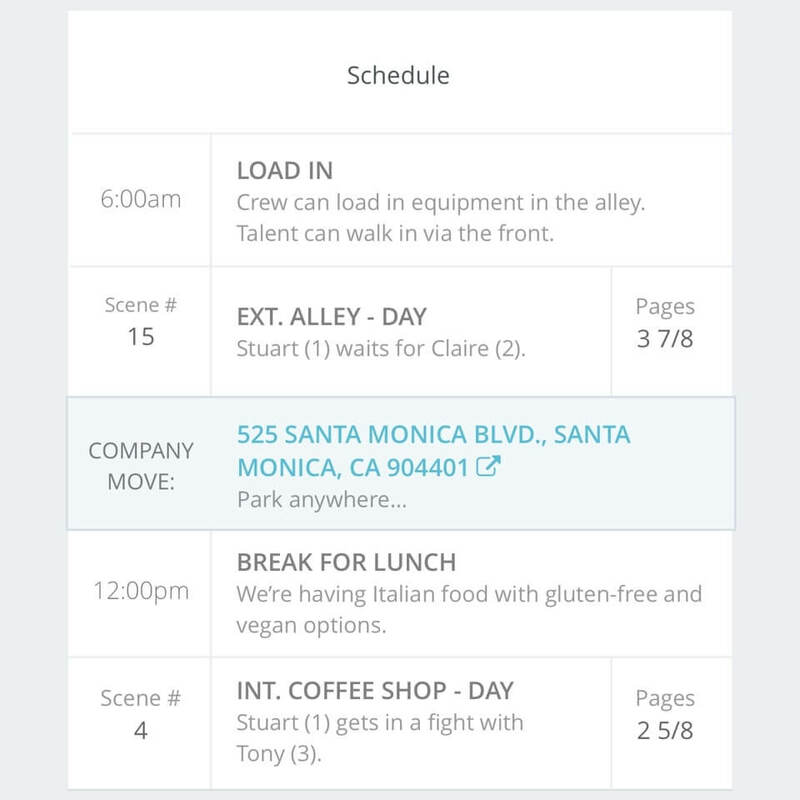 Create daily schedules with scene details, meal breaks & company moves. Create call sheets in under a minute. We’ve streamlined the call sheet workflow to save you time. 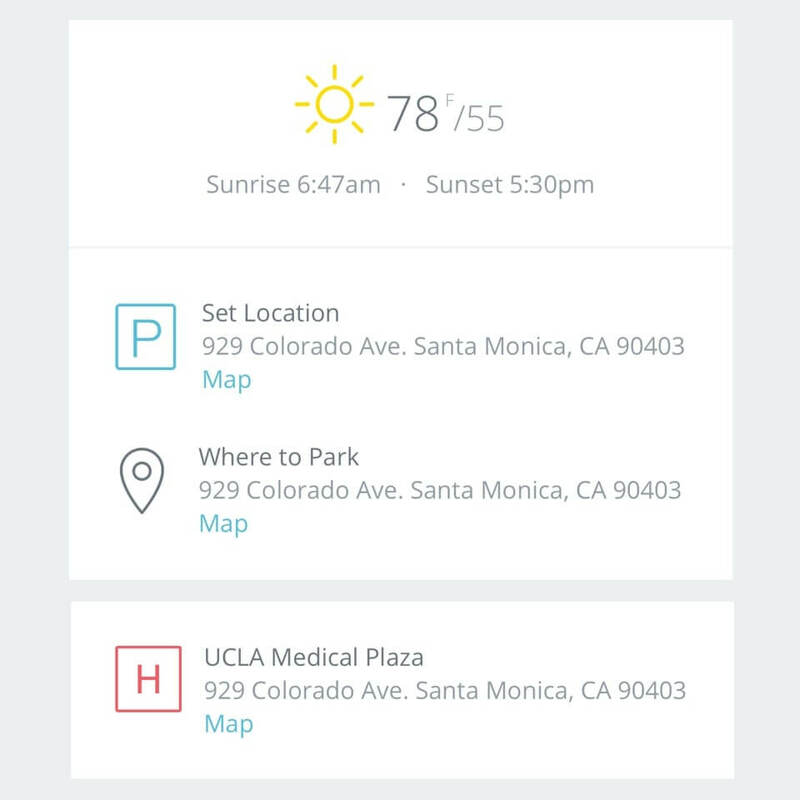 We insert weather and hospital details based on set location. Map links are generated for easy navigation. Quickly assign individual call times, private notes, and custom parking instructions by department or recipient. 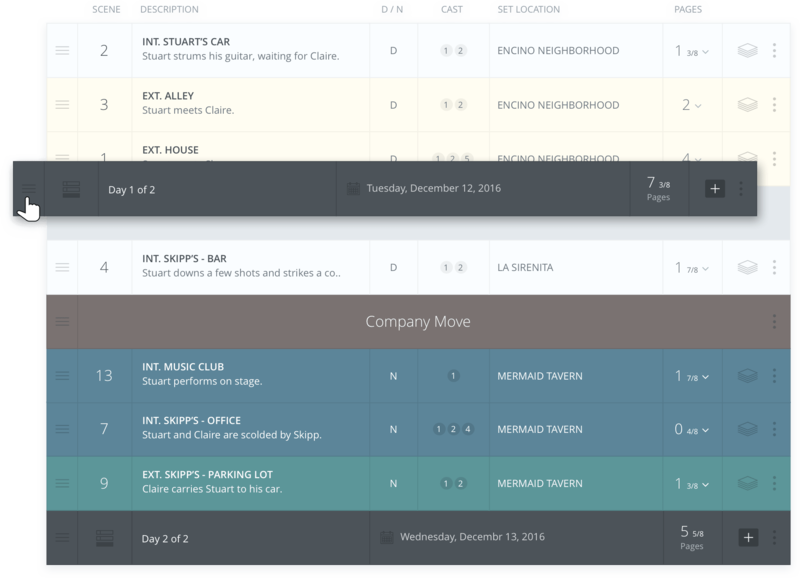 Create robust schedules, add scenes, or company moves. 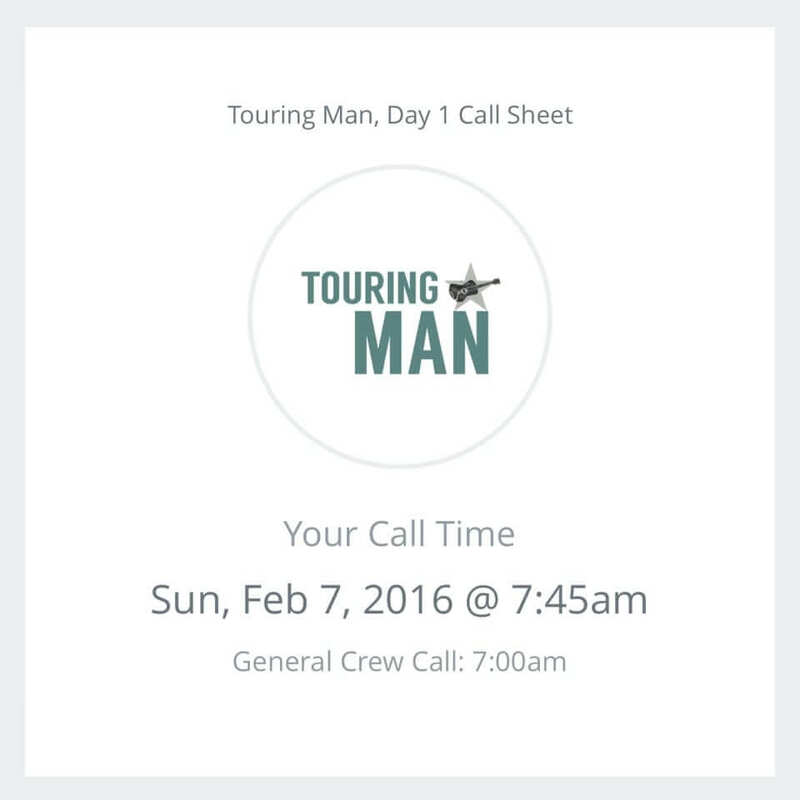 Add cast and crew to a project or invite them to provide accurate details to save you time. We auto-bucket contacts into departments for you. 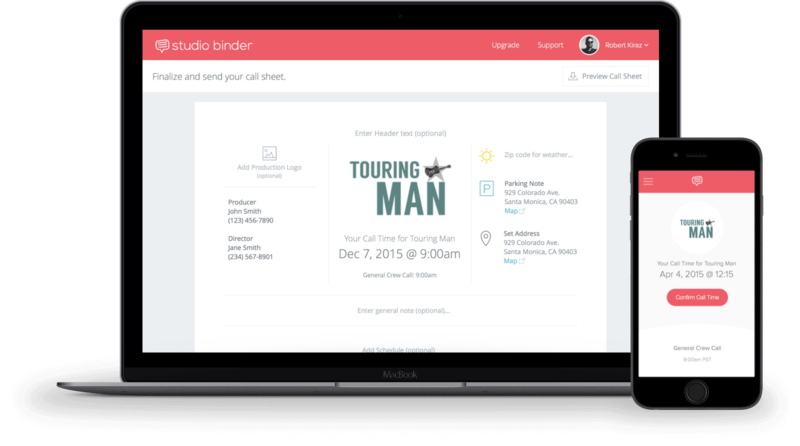 Import your entire email list directly into StudioBinder. Work with the same cast or crew often? Group contacts into lists for quick importing into new projects. Our television production software helps studios and agencies to quickly create and send professional call sheets to cast and crew. 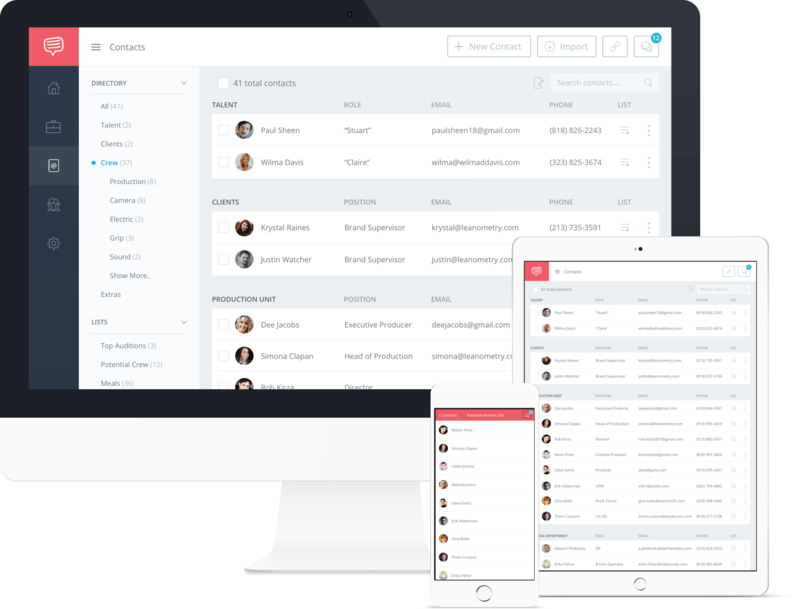 Call sheets are saved securely in the cloud for easy collaboration and features a call sheet approval system and analytics to track when recipients view their call sheet. Intuitive select-and-tag system when breaking down a script. 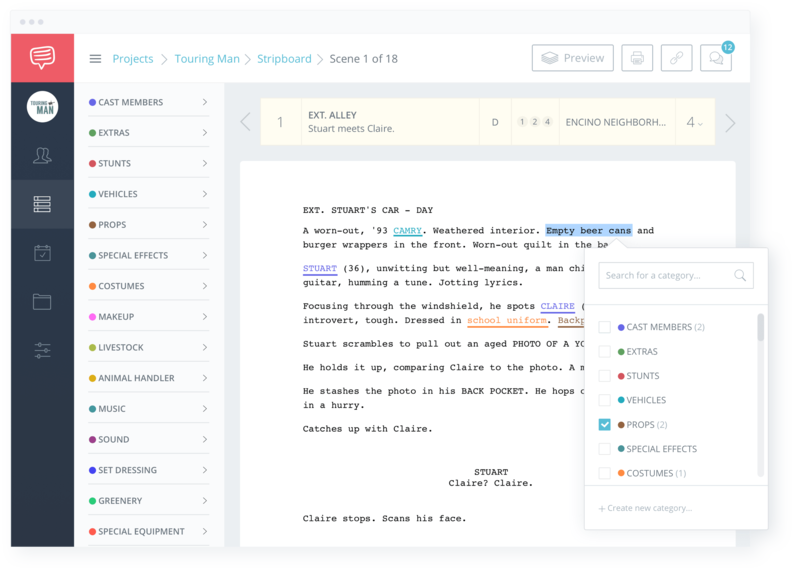 Add elements, scene breakdown notes, preview the shooting script, manage shooting locations, customize script breakdown sheet categories, and more. Export and share a script breakdown sheet with your team. Television production software like StudioBinder helps you collaborate with your team for more effective production scheduling. Upload Final Draft shooting scripts, drag-and-drop to reorder scenes, add day breaks, banners, assign locations and talent to scenes, and create script breakdown sheets. Export & share the shooting schedule, with version tracking. Spin off day breaks into their own call sheets. 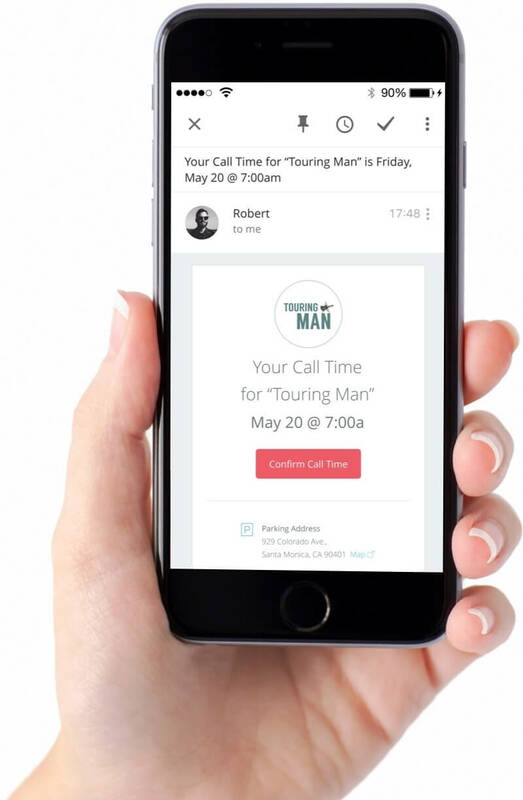 Talent and crew receive personalized call time emails that highlight the most relevant details at-a-glance. We attach printable call sheet PDFs to emails sent. Every PDF is tailored to the recipient. Easily view the latest version of the call sheet online. Create unlimited call sheets and have total visibility when they’re viewed and confirmed. Rest assured everyone will be present on set. More certainty. No more blind follow-up calls. StudioBinder is the leading television production software that goes where you go. Upload and share production documents with ease. 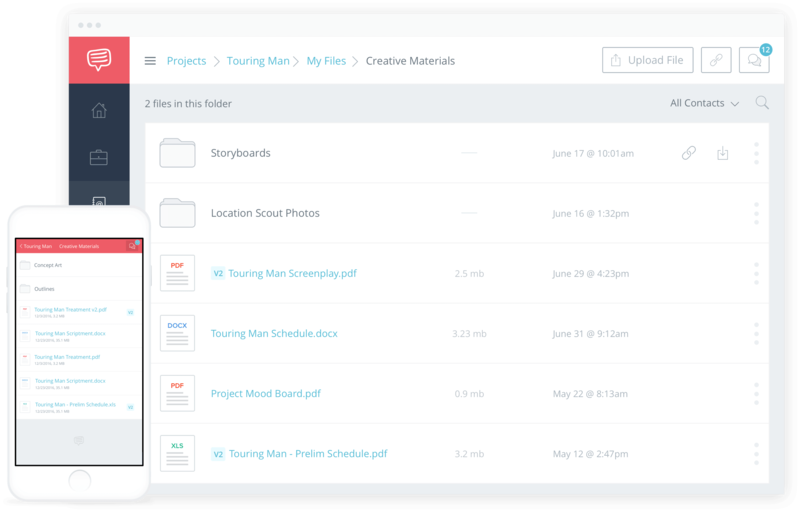 Upload scripts, storyboards, location photos, invoices, release forms, stripboards, crew deal memos and other documents securely with encrypted access for added measure. Easily share files with clients, executives, producers, coordinators and your production unit. More Than Just Television Production Software. Television production software trusted by the best companies. Manage your shoots like a pro. 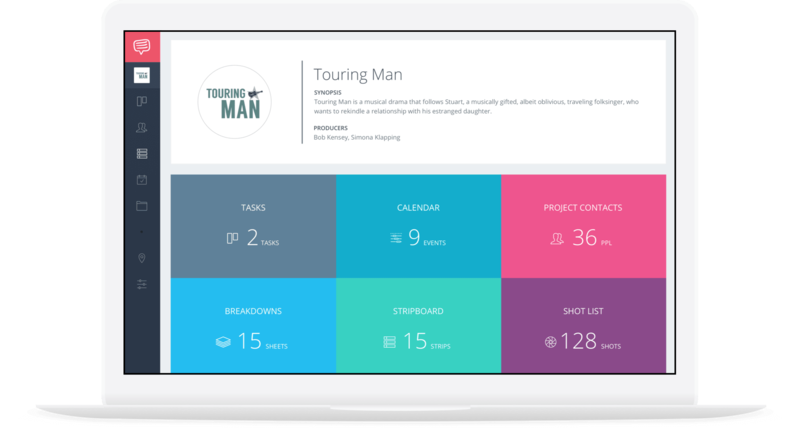 All-in-one ﻿photo & video project management ﻿has arrived.